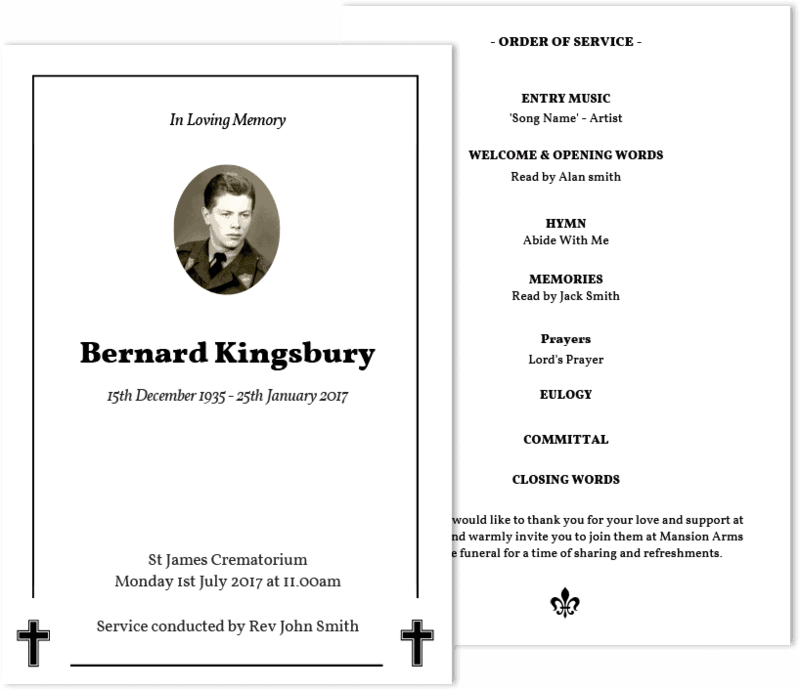 Let us design, print and dispatch your funeral stationery. We have made the process very straight forward, we only require you to send us your information via a PDF or Word Document and send us your treasured photos. We will request photos from you after you have completed the form in a separate email. Please start by completing our simple form and will be in touch with you if we require any additional information from you. If you do not have an outline, download our template to help get you started. Delivery – If you sign-off the proof before 12 noon on any working weekday we will print and dispatch that same day. Please tell us what you would like to include. Please try to provide as much detail as you can. Please upload the order of service content here. We will begin to design your Funeral Stationery once we have received your wording & photos plus selected a design for us to personalise. You will receive a PDF proof via email when your design has been complete. If required we will revise your design until you are happy for us to print. After the proofing stage is complete and you have confirmed the design ready for print we will begin to print and dispatch your funeral stationery.